Established in 1998, the Galapagos Marine Reserve (GMR) is the flagship reserve of the Eastern Tropical Pacific Corridor and is the third largest marine reserve in the developing world, at 133,000 square kilometers. WildAid initiated its Galapagos program that same year to support the Galapagos National Park Service (GNPS) in the intensive task of managing and protecting the newly created Marine Protected Area (MPA). Through extensive field expertise and close cooperation with the GNPS, WildAid has developed a comprehensive enforcement model and operational program focusing on the law enforcement chain, which encompasses the activities of detection, interception/arrest, prosecution, and sanction. The Park Service currently possesses a fleet of 13 oceanic and semi-oceanic vessels and a Seawolf aircraft to patrol the 133,000 km2 marine reserve and intercept poachers. In cooperation with Conservation International, the Galapagos Conservation Fund, IGTOA and others, we assist with the timely maintenance of all vessels, procurement of spare parts, hiring of technical specialists, and warden training courses. Years of intelligence revealed a high incidence of international and national fishing vessels illegally fishing around the abundant waters of Wolf and Darwin. As a result, Conservation International, WildAid and others, refitted and deployed the floating patrol and scientific base "Tiburon Martillo" near the islands of Wolf and Darwin in November 2008. The floating barge ensures 24 hour patrolling of the area. Introduced in December 2009, all tourism, fishing and cargo vessels are now required to use satellite tracking devices in the GMR. WildAid worked with the GNPS and the Navy to establish regulations, procure equipment and train stakeholders for the adoption of the system. The technology is a highly cost effective management tool as it allows the Park Service to monitor no-take areas, increases passenger safety and can also help prevent the possible collision of large vessels i.e. fuel tankers in shipping lanes. 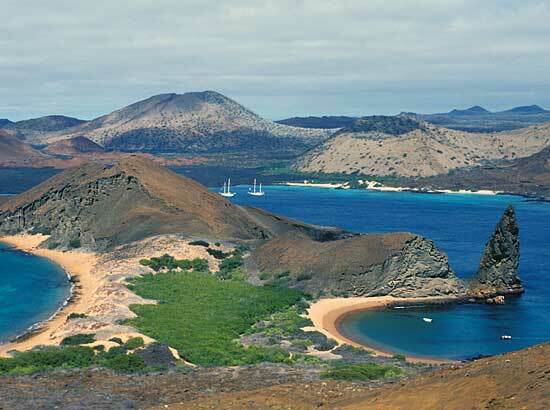 The majority of tourists visit the Galapagos Islands on live-aboard boats, the only point of access to many sites. Each boat visit, of which there are hundreds per year, results in an anchor being dropped. The use of anchors causes damage to the seafloor environment and fragile coral reefs. In cooperation with Conservation International, the Crown Family, the GNPS, and INOCAR, we have installed ten mooring buoys as a way to reduce impacts on underwater marine systems. Further mooring installation is pending the availability of funds. The Park Service spends millions of dollars every year controlling the GMR, but in the past, many poachers were not prosecuted due to lack of legal support. In response, Conservation International and WildAid have hired an environmental lawyer to process all illegal fishing violations and other environmental crimes for the GNPS. We have also identified other cost saving mechanisms and streamlined notification processes that have led to a measurable impact in the timely application of law. For some years we have worked closely with the Environmental Police by donating and training sniffer dogs to detect sea cucumbers and shark fins leaving the Islands. The sniffer dogs have proven so successful that the Environmental Police have actually received threats against the lives of the Labrador retrievers. Their presence clearly serves as a strong deterrent for the shipment of illegal products on both commercial and private flights and vessels. Most recently, Conservation International and WildAid donated four new sniffer dogs to the Environmental Police. We work with Authorities and informants to stop the illegal trade of species leaving the Galapagos Archipelago. We have successfully organised a number of searches and seized shark fins, sea cucumbers and lobsters trafficked out of season. WildAid purchased a fishing vessel that had been confiscated for fishing illegally in the Galapagos Marine Reserve; The Cecilia Alvear Women's´ Organisation (OMCA) in San Cristobal is in the final stages of converting the vessel into an eye-catching, eco-friendly small business. It has been beautifully repainted by a local artist and will be used as a small restaurant and boutique. The objective is to both increase the income of cooperative members and help decrease the over-fishing in the Galapagos.